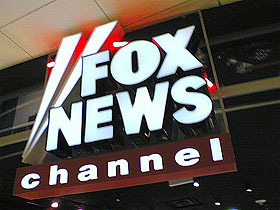 Todd Gitlin, professor of journalism at Columbia University, says the key is Fox News….On the right, he says, “it’s Fox that makes the difference.” While MSNBC’s evening schedule features three liberal hosts (Olbermann, Maddow, and Ed Schultz), it doesn’t have the same around-the-clock consistency of both ideology and story selection that Fox does. Black Panther Party voter-intimidation case — a contrived story conservatives did their best to trump up — in a period of two weeks on Fox. This kind of relentlessness doesn’t work every time, but it works often enough. Eventually, many other news outlets covered the voter-intimidation story. Yep. In most areas the left is at least close. The right has Drudge, we have the Huffington Post and TPM. The right has Rush, we have NPR. The right has the Wall Street Journal, we have the New York Times. The right has the Heritage Foundation, we have CAP. All of these comparisons are imprecise in one way or another (NPR isn’t an anti-Rush, Heritage is bigger than CAP but the left boasts lots of center-left think tanks, the WSJ’s editorial page is far more aggressive than the NYT’s, the right has nothing to compete with Daily Kos or Jon Stewart, etc.) but they’re at least in the same ballpark. But nothing we have comes even close to the power of Fox. It is unique. MSNBC is so far behind in the agenda-setting arena that it’s hardly even playing the same game. So far, the mainstream media simply hasn’t figured out how to deal with Fox, and there’s no hint that they’re getting any closer.